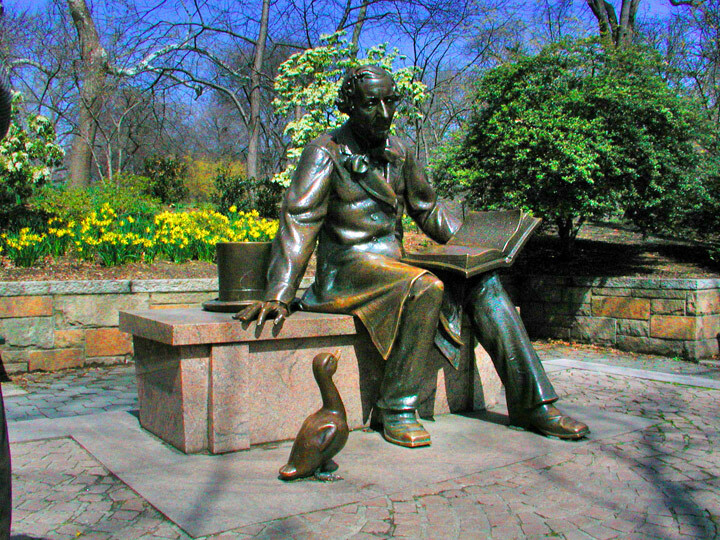 Miami In Focus Photo Gallery of the Hans Christian Andersen Statue E74 in Central Park. schoolchildren of Denmark and New York City. 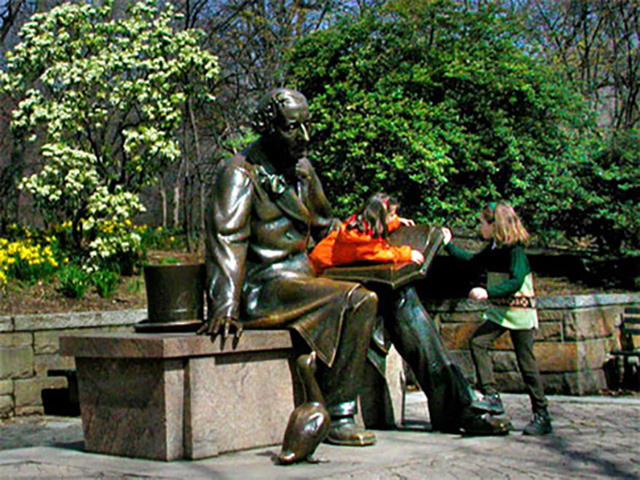 Overlooking the Conservatory Water with its sailboats and wide-eyed kids is the bronze statue of Hans Christian Andersen. 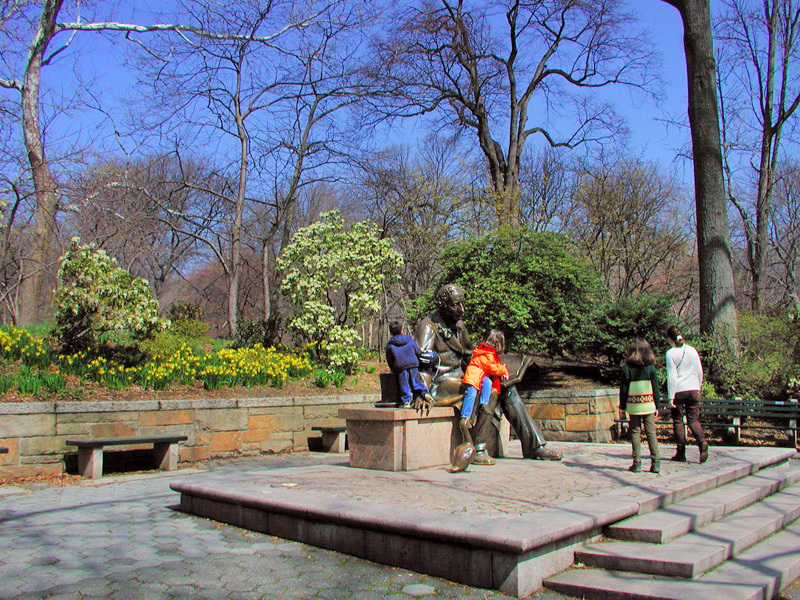 It is not surprising considering the stylistic elements added to this sculpture that it has become a children's favorite in Central Park. Not far from his leg a curious duck looks up to Andersen in anticipation of the story’s happy ending. Bordered by benches it is the perfect setting for outdoor storytelling scheduled during the warmer months. 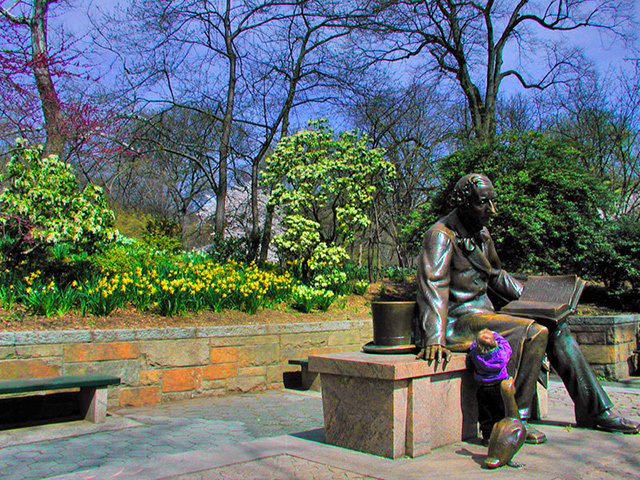 Other statues that have a similar appeal to children are Alice in Wonderland and Balto.